I’ve been one fortunate guy in my professional career. I cannot begin to describe how much fun it is to work at the Lake Norman Chamber with some of the most creative, energetic, and generous business people in the Charlotte region. 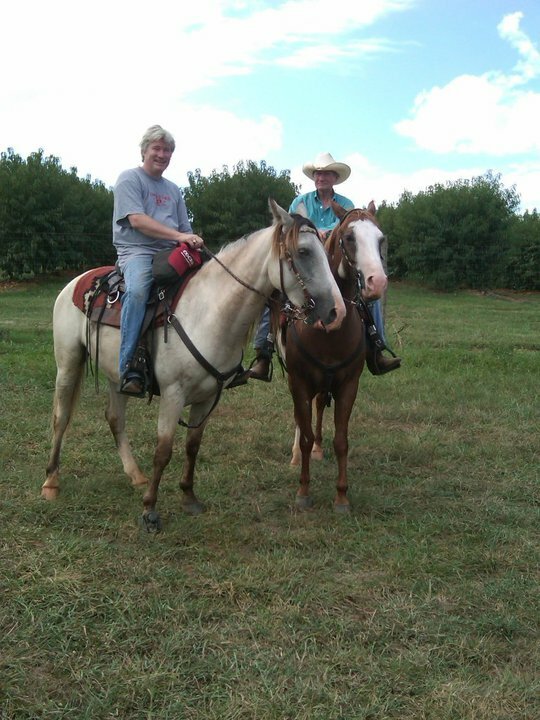 A couple of months ago I attended a fundraiser for Triple Cross Ranch which helps instill confidence in young people with special needs riding and working with rescued horses. It comes on the heels of the Ada Jenkins Ice event which raised well over a hundred thousand dollars for our outstanding outreach center. Add to that the Chamber’s Habitat Build and the generosity of Wells Fargo and our many other businesses and you understand what I mean about the generosity of our business community. Prior to going to work at my first Chamber of Commerce 19 years ago, I was active in a service organization called Jaycees (Junior Chamber of Commerce). I had no grand plan to lead the organization other than serving as a local president like my dad did in 1965. 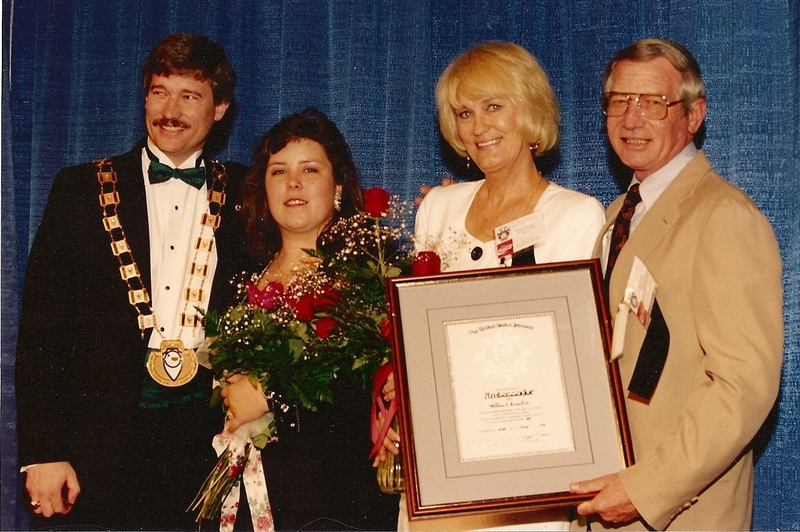 Through hard work and a great deal of help by many people working together, I was fortunate to climb the leadership ranks of the organization eventually being elected national president in 1992. I travelled to 47 states and seven countries speaking to Jaycee chapters across the nation. Years later, I had a young man ask me how a local Jaycee becomes national President. 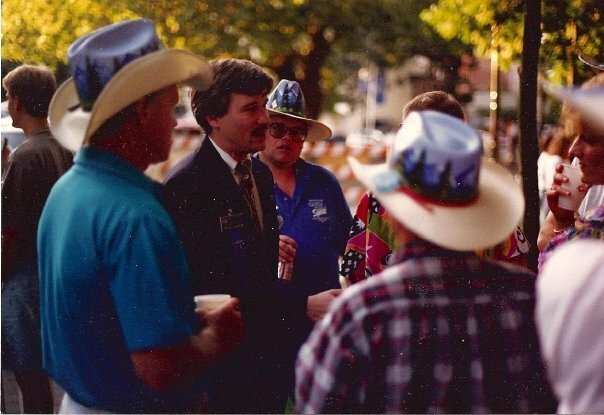 As I talked about the lonely nights traveling hours by car to meetings as a state officer to a membership night only to find a handful of people and no prospects in the room – or turning around the next night and driving four more hours to train officers to find 3 or 4 people had shown up – how demoralizing that could be. However, it was all worth it seeing new clubs and chapters making an impact in their community or an individual who might have been one of those handful I spoke of one day becoming a business, community, or elected leader because we encouraged and pushed them to be their absolute best. As I spoke to this young man, I saw him glancing all around the room, not listening at all to what I was trying to tell him. He was more interested in who he was going to talk to next. He wanted to be the best but he was not interested in the journey – just the destination. That journey is the dues we all have to pay to get there. There is no elevator to the top of success. You have to climb each step one at a time, working hard every step of the way. There are simply no short cuts to success. That’s why sports teams practice each day leading up to the game. That’s why successful business men and women seek out business coaches, mentors, executive training and never stop in their search to learn and be better each day. As I mentioned, I simply love what I do. Each day I get a chance to work and learn from the very best. People who dare to reach for the stars every day and even if they fall short of the sky, they clear the tree tops and leave the ground far behind. As you go about your job today – ask yourself what kind of business are you in? A few weeks ago, Hilary Broadway, our Public Policy Chairman and a local realtor with Allen Tate Realty was sharing a book she really enjoyed – “Positively Outrageous Service” by Scott Gross. Hilary stated that one of the great take aways of the book is that real “POS” is random and unexpected. The element of surprise is part of its power. Listening to Hilary share some of the branding and customer service tips from the book, I could not help but reflect on an incident in my life that made an indelible impression on me. 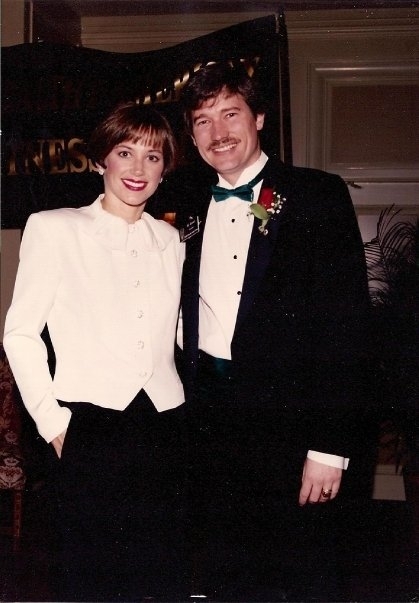 In 1992, I was serving as President of the United States Junior Chamber (Jaycees) and had been asked to co-emcee the Healthy American Fitness Leadership Conference in Atlanta, Georgia with Dorothy Hamill, 1976 Olympic Champion. Our Keynote Speaker for the event was Arnold Schwarzenegger. It was a real delight to be on the stage with Dorothy and another thrill was working out with Armold the next morning. Only problem was Arnold and the hundred or so fitness leaders in the room were a great deal more commited than I was. I dressed in my sweats, thanked the people in the room for the difference they were making in their communities and went to breakfast. 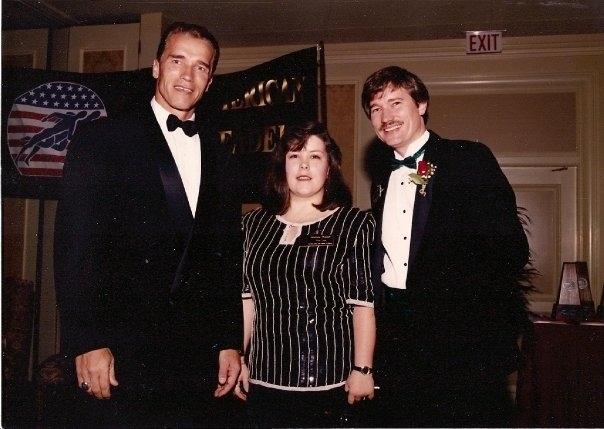 Leaving Arnold with all the fitness zealots, I told him, “Unlike you – I won’t be back….” Nearly twenty years later, my exercise routine still lacks commitment, always taking a backseat to a warm Krispey Kreme donut and a cup of coffee. I was flying in from a speaking engagement in Minnesota and our staff at the Junior Chamber had me booked on the last available flight leaving Minnesota that would get me into Atlanta just in time to change and then attend the banquet. This particular flight out of Minnesota was delayed because of heavy inclement weather, delaying our flight and in the process impairing my ability to catch my connection. The moment we touched down, I was running full throttle through the terminal, dashing madly to my gate, only to find the flight attendant shutting the door. Out of breath, I managed to state I needed to get on the flight. The attendant shot back that I could hardly expect to get there at boarding time and catch my flight. I explained the situation, indicating who I was, and what I was going to be doing, and then emphasized that was the very last flight that would get me where I needed to go. The attendant merely looked at me and told me she was sorry. The flight was already departing and she would get me on the next available flight. To say I was upset would be putting it mildly. In the meantime, a young man had been standing behind the counter listening to our exchange. He asked for my ticket, looked me dead in the eye, and said, “Mr. Russell, I heard your situation. We’re gonna’ get you on that plane.” I watched as the plane backed back up to the gate and they had me take the first available seat. To this day, I remember taking a seat by the window. Looking out, I could see back to the terminal gate and in the window I saw the gentleman that helped me. 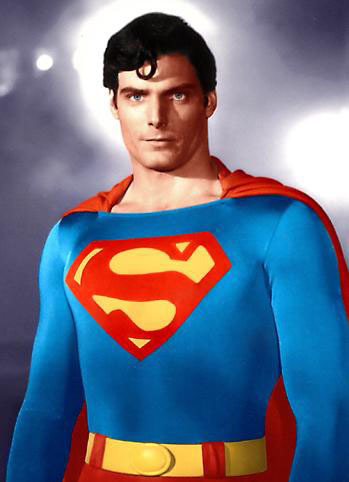 Dressed in his blue suit, the tiny lock of black hair dangling gently on his forehead, the red cape flowing in the breeze, and the big yellow “S” on his chest. Well, maybe he wasn’t really Superman. But he saved my day and what I thought about that airline and whether I would ever fly them again might have depended on his actions that day. But one thing was for sure – the flight attendant – she was in the airlines business. The gentleman that got me on that plane, he was in the “people business”. He knew about Positively Outrageous Service before there was a term for it. As you go about your day at the lake, working to grow your business, you need to ask yourself one question – what business are you in? On a Saturday morning, August 9, 1969, WRHI, the leading radio station in Rock Hill, led breaking news that a tragic boating accident had occurred during the late evening hours the night before on Lake Wylie. 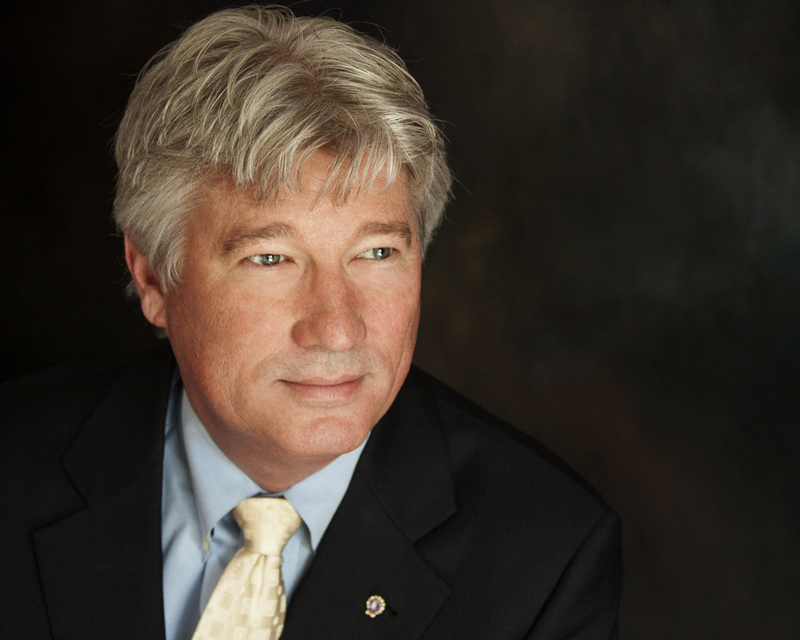 Several prominent business and community leaders had been killed and among the missing was Bill Russell, past president of the Rock Hill Jaycees – my father. The tragedy occurred following a regional meeting of the South Carolina Jaycees. At the conclusion of the meeting, several officers from the Clover, Gaffney, and Rock Hill Jaycee Chapters (seven Jaycees in all) decided to enjoy a late night boat cruise. A boat piloted by a Clover Jaycee was struck head on by a cabin cruiser. The coroner’s report later determined it to be an accident. While no one was injured in the larger vessel, two young men from Gaffney, Thomas Baines and Michael Campbell, both 26, were killed along with the President of the Rock Hill Jaycees C. Well Hayes. Wells was just 28 years old. 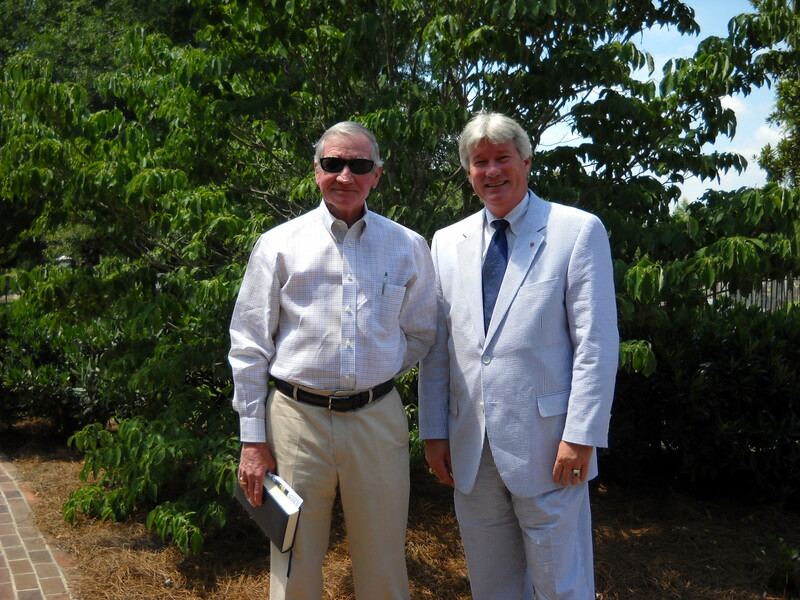 John Every, another Rock Hill Jaycee, who would later be elected South Carolina Jaycee State President, was severely injured and never fully recovered from the incident. When members of the Clover and Rock Hill Rescue Squad arrived on the scene, the Jaycees involved were either badly injured or missing leaving officials to speculate who might have been on the boat. My dad was Rock Hill’s chapter representative to the Clover Jaycees having helped establish the organization and it was assumed he too was on the boat and missing. Ironically, it may have been his commitment with civic service that he was not. Dad was also a Commissioner on the Rock Hill Pony League sponsored by the City of Rock Hill Parks & Recreation. The Championship playoffs were scheduled for that weekend. Both the Jaycee and baseball events were scheduled for a Friday night. Dad was required to be at the Pony league game in case a protest arose and a decision would have to be made at the time of protest. That requirement may well have saved his life. Instead of attending the Jaycee meeting, he attended the Pony League ballgame with his nine-year old son “Billy”. My mom received a phone call early that Saturday morning from Joyce Tucker, a close friend, whose husband Charles was both a firefighter and volunteer rescue squad member. Tucker was among the first to arrive at the scene and was told Bill Russell was thought to be among the young men who were missing. One can only wonder now the phone calls that were made that morning before the advent of cell phones and answering machines. Upon hearing the news, my parents immediately headed out to the lake to find out first hand what had happened to their friends while at the same time, put to rest any concerns as to the safety of my father. Mom and dad proceeded to the public boat landing where the rescue and recovery was being conducted. Upon arrival, the first person they encountered was Mary Colvin, the director of the Rock Hill Red Cross. At the time dad was also president of the Red Cross chapter. Dad said Mary on seeing him, ran up and hugged his neck telling dad the squad was in the process of dragging the river for him. Twenty one years later, I was elected the first president of the Rock Hill Jaycees whose father had also served in that capacity. We had a great year and it culminated with the Rock Hill Junior Chamber being recognized as the #1 Jaycee Chapter in the state. We were presented a #1 Trophy and a plaque citing our outstanding achievement. While I was thrilled with that recognition, my hands literally shook when I was presented the C. Wells Hayes Memorial Award as president of the Best Jaycee Chapter in the District. 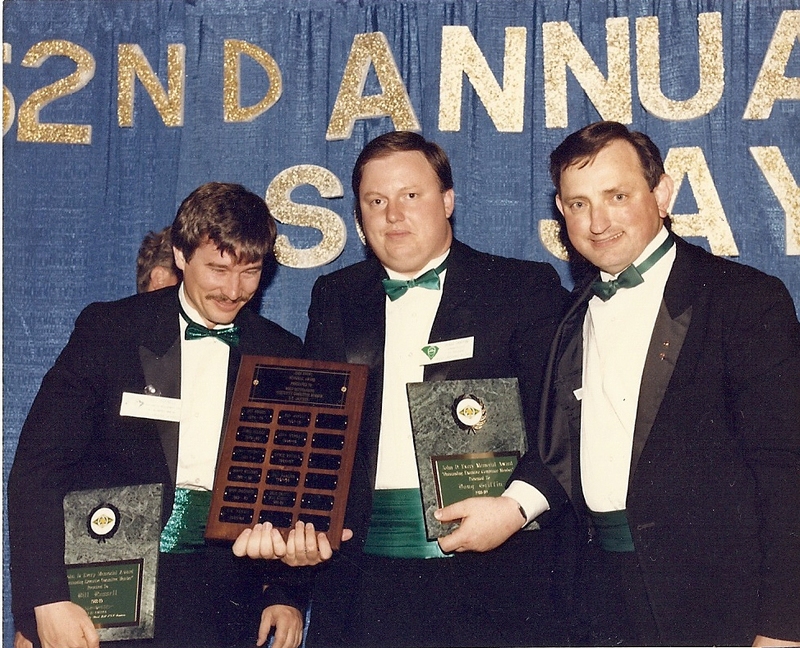 A couple of years later, I was presented with the John Every Memorial Award for my service to the South Carolina Junior Chamber of Commerce. I still remember the tears which streamed down my cheeks accepting the award. For all the reasons many in the crowd may have thought I was shedding a tear, I could not help think how fortunate I was, not for what I was receiving but for something I had … and never lost. The Jaycee organization taught me to do what you love, love what you do, and deliver more than you promise. I have tried to live out that philosophy in my role with that organization, the chambers of commerce I have served, and the many organizations I have chaired and been a part of as a Board or involved member. I’ve come to realize three things as I approach each day. Having lost two close friends of mine recently, Scott Hinkle and Mike Shipley, both young men with their lives in front of them, I can’t help but think how precious and short life really is. There is no promissory note. No guarantees of what we have to look forward to in this life. Simply, we have today and that is God’s gift to us. What we make of it is our gift back to God. The second thing is God must really have a sense of humor. That’s why he made me a Gamecock fan. I’m convinced God made me a Gamecock to keep my humble as I go through this journey of life. And the last thing. Well, it’s the thing that keeps the smile on my face. Knowing all the northerners will be shocked when they get to Heaven and God says, “Ya’ll come on in.” She’s got a southern accent you know. Kid you not! I almost strangled on my Krispy Kreme donut reading this drivel in the newspaper. Klinger added, “On the surface Ronald is there to give children enjoyment in all sorts of way with toys, games, and food. But Ronald McDonald is dangerous, sending insidious messages to young people.” You have to be kidding me! I think Klinger and his battalion of bumpkins might actually be the dangerous ones. I’m not sure if this dudes’ any relation to the MASH Klinger or not but he’s certainly well on his way to his own section eight. I didn’t say anything when the urban legend got started about Mr. Clean. I figure any guy running around dressed in all white sporting an earring in his left ear is probably asking for it. Nor did I shed a tear when the Health Gestapo went after Joe Camel and strung up his buddy the Marlboro Man. Although I did get a little annoyed when they questioned whether the Lucky Charms elf really had magical powers. Certainly he does and his little charms are magically delicious – we all know that! But I draw the line in the mustard when they go after Ronald. Ronald McDonald is not just a fast food mascot or a nifty little branding icon. To many children throughout the world, he is a symbol of hope when many face a world seemingly filled with hopelessness. His house, any Ronald McDonald House, is a place where the parents of children in a nearby hospital can stay for a reduced price or even a small donation. In 1994, the Chronicle of Philanthropy, an industry publication, released the results of the largest study of charitable and non-profit organization popularity and credibility conducted by Nye Lavalle & Associates. The study showed that Ronald McDonald House was ranked as the 2nd “most popular charity/non-profit in America” of over 100 charities researched. When I was president of the United States Junior Chamber of Commerce (Jaycees) in 1992-1993, the Ronald McDonald House was one of the leading projects for which our Junior Chamber Chapters conducted fund raising projects. Jaycees were, and still are, enthusiastic about raising funds for a charity in which 83 cents of every dollar is spent to fund programs globally. For nearly 35 years, Ronald McDonald House Charities have been creating, funding, and supporting programs that directly improve the health and well being of nearly four million children worldwide every year. Last week, McDonald’s CEO Jim Skinner told the corporate accountability group to get a life. Well, maybe he didn’t say it in quite those terms. But he did state when confronted by Klinger and his merry little band of dumb dwiddles, would McDonalds retire the 50-year old clown, “The answer is no.” Good for you Skinner! It’s time Corporate America stood up to these fringe groups. If I want to “Biggie Size it” get off my back. Quit trying to remove the calories from my Breyers Cherry Vanilla Ice Cream and lay off Tony the Tiger. Better yet, take your greedy paws off my trans fats! Personally I think the whole world would be better with a little sweet iced tea, barbecue pork, and a few hush puppies on the side. Oh, and bring on the ‘nanna puddin’. Now that I can rest easy that the world is again tilted back on its axis and the curmudgeons of crazy town are scampering back to the mushrooms from which they hide, I can get back to my rendezvous with Little Debbie. We have a standing date every night at ten. And baby can she bake a mean oatmeal cake! This speech was given during the annual business meeting of the United States Junior Chamber of Commerce by National President Bill Russell asking the delegates to approve a $5 dues increase per member, an alumni membership, and a blue ribbon commission to create a plan for the future of the organization. All three initiatives were approved later that day. Delegates to the 73rd annual meeting, there is a word that keeps popping up time and again when we talk about the Junior Chamber and that word is leadership. You have heard it this year. I hope you come to understand it better. Leadership is our chance to create a stronger organization. An organization that will be there for your children and your children’s children. You can define leadership many different ways but in the Junior Chamber we know leadership is the key to everything else we do. Without leadership, we become just another fundraising organization like so many other groups out there. We lose our credibility, we lose our history, and we cut our roots. While community service is the best work of life, we must not lose sight that our community development projects are just one slice of that work. The entire pie is created with leadership as the pan that holds it all together. Leadership that understands where it is going and how to get there. Jaycees, we have an obligation to prepare for the future. Today we have that opportunity. The opportunity to return our organization to financial stability, to tap resources previously turned away, and to create and implement a plan for the future. I am asking for your support of the much needed dues increase, our alumni membership, and the proposed blue ribbon commission. Robert F. Kennedy, a young person who left us 25 years ago this month said, “Progress is a nice word but change is its motivator and change has its enemies.” I believe in the American Dream because I believe in Jaycees. You and I stand on the threshold of a new America…a new Junior Chamber…and America and a Junior Chamber filled with opportunity, challenges, and change. Let us not be enemies of change. The progress we seek in the Jaycees is not for personal gain, influence, or power. It is change for our organization. It is changing our way of thinking…thinking of leadership training and preparing our members to go out in their communities and lead. It is change that is required if we are as a viable organization are to once again obtain our position of national prominence. And its change we must have if we are to continue to call ourselves the organization of choice for today’s young people. In the 1960’s, Dr. Martin Luther King stood at a podium in the deep south and reflected on where the civil rights movement was going when he said, “The measure of a man is not where he stands in the moments of comfort and convenience but where he stands at the times of challenges and controversy.” I ask you today….where do you stand? I stand on the side of change. Change not for the sake of doing something different, but progressive, enlightened change. Change that will make our organization strong…and remain strong…year after year, in chapter after chapter. It is taking a leadership stand. Let us all stand against mediocrity. Let us take a stand against the status quo and business as usual. Let us go somewhere we have not been. Let us today…in this moment in time…go somewhere…we have not been.